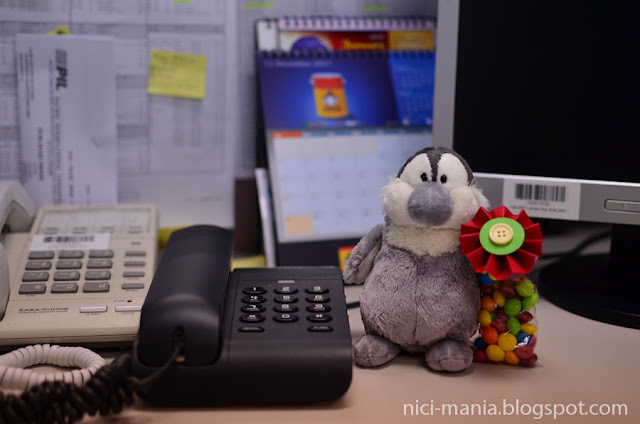 NICI-Mania did not have any big Christmas celebration this year but our new friend NICI Penguin is at office this Christmas and we gonna show you all the gifts we got! A petite hand made paper flower with colorful candies. 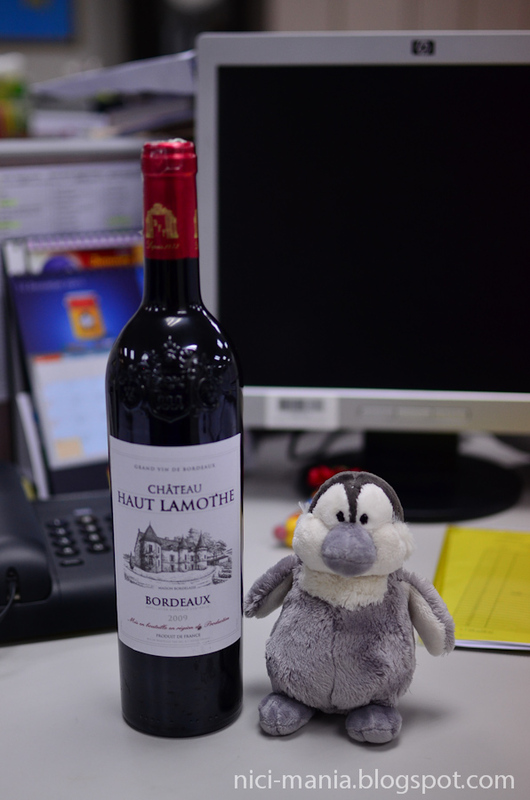 A bottle of French Bordeaux wine! 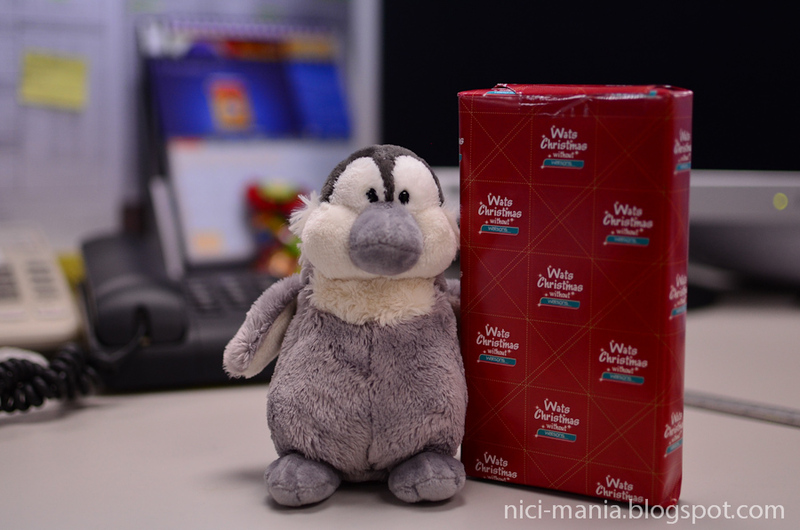 NICI Penguin peeps inside one of these wrapped gifts.. It's a box of Pocky inside from Watson. 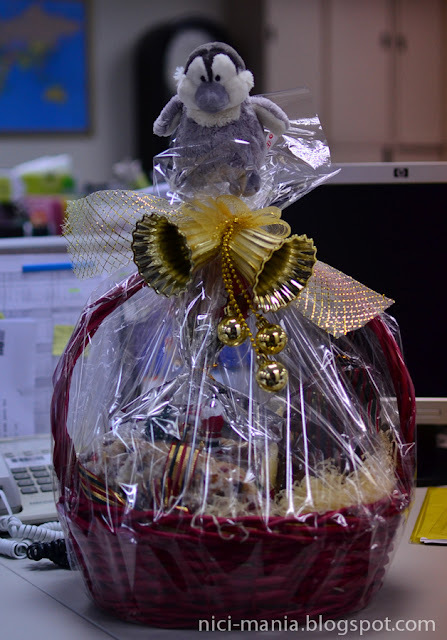 And lastly a huge Christmas hamper! 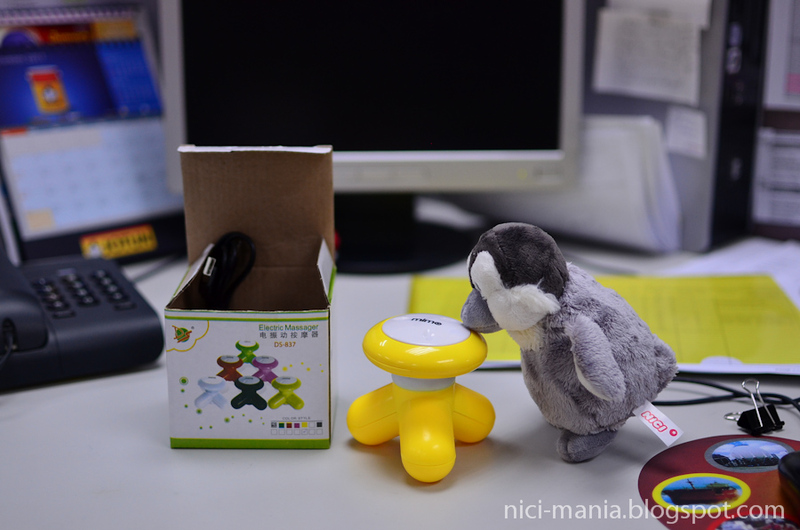 We gonna catch up on the Taiwan entries and New Year is coming this week! Oh I have exactly the same massager as you!!!! 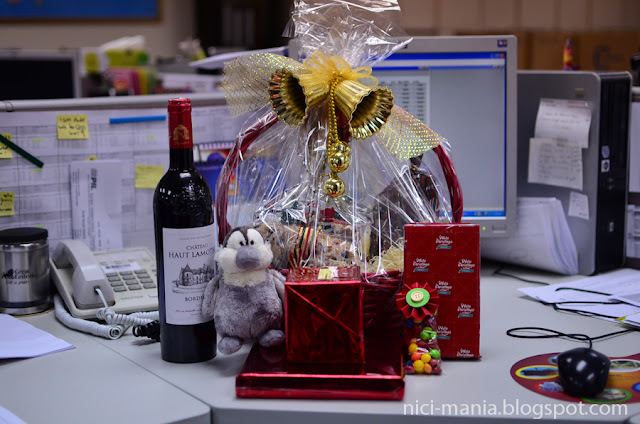 It is wonderful, I love it :) The other gifts are very nice!!! That good gifts, enjoy hehe. 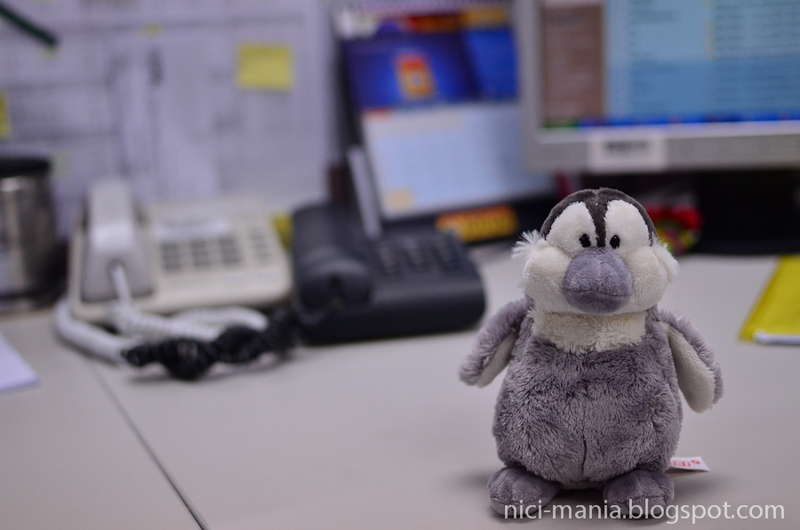 i like ur penguin! he has a v cute face! almost like he's sulking all the time! hehe! So cute! We love penguins too! 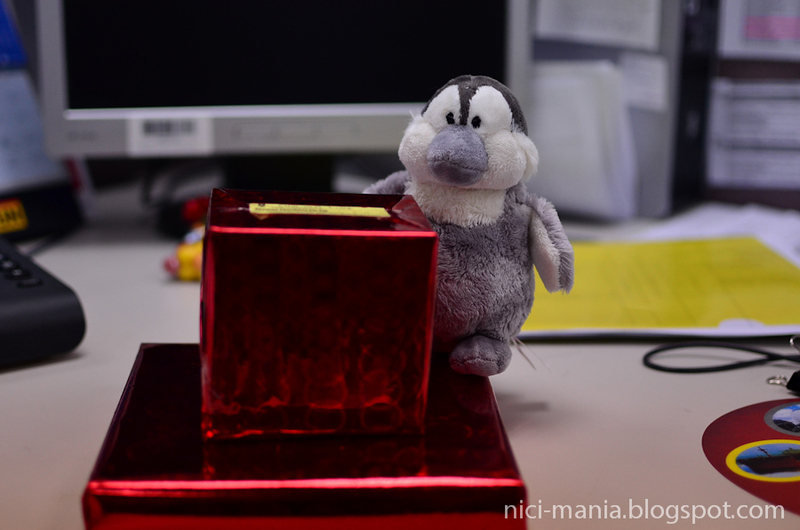 There should be a Chinese zodiac year of the Penguin! !